Rhonda Saldivar is a graduate of Spelman College (B.A. ), George Peabody College for Teachers (M.S.) and Vanderbilt University (Ph.D.). Her doctoral dissertation focused on the influence of the National Council of Teachers of English on the treatment of African Americans and Black Educational Issues. 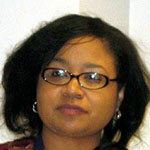 In 1985, she joined the English Department at Texas Southern University as an assistant professor. During her tenure, she has taught courses in literary criticism, advanced composition, British and American literature, world literature, freshman and honor’s English. She has also served on or chaired numerous department and university committees as well as community boards. She is a member of the National Council of Teachers of English, Conference of College Teachers of English, Modern Language Association, Southern Comparative Literature Association and Southern Conference on African American Studies, Inc. Her most recent articles, essays and reviews include “The Life of Carlos Fuentes” for The Compendium of 20th Century World Novelists and Novels (2006), a critical review of “African Myth and Folklore” essay for Comparative Literature (2006), “Intimations of the Poetic Style of Emily Dickinson as Manifested in the Poetry of Stephen Crane” (2005),“The American Dream: The Quest for Cultural Identity in Americo Paredes’ With a Pistol in His Hand: A Border Ballad & Its Hero and Toni Morrison’s Song of Solomon (2006), and The Life of Josephine Brown (2007).